Our range of products include mp based controllers, motion control devices, analogue tachometer, analogue speed controller and hand tachometer. We are an eminent firm occupied in manufacturing and supplying MP Based Controllers. Our controller is tested on varied parameters from our end so as to deliver a defect-free range. The offered controller is manufactured with the use of standard quality raw material along with innovative techniques in tandem with industry norms. 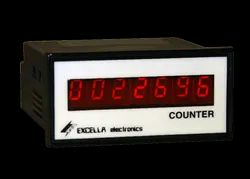 Customers can avail this controller at industry leading rates in a confine time. Scanning Time : 0.01 Sec. For Packaging, Pharmaceuticals, Plastic, Textile m/cs. etc. With the involvement of modish technology, latest machinery and advanced tools in all our processes, we are occupied in offering Motion Control Devices. This control device is designed using pristine grade components and advanced technology at our premises. Our offered control device is customized as per the requirements of customers. Moreover, offered control device is provided in number of specifications to choose from. We are regarded as the leading brand affianced in offering highly efficient Analogue Tachometer that is widely demanded in laboratories, factories, workshops and service stations. 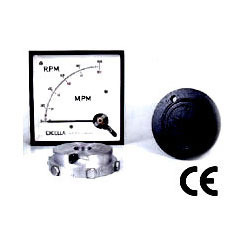 Offered analogue tachometer is helpful in checking and measuring the linear & rotational speeds of working equipments. The analogue tachometer offered by us is manufactured under the direction of professionals by using best in class material coupled with leading technology. We are giving this analogue tachometer at competitive rates in a stipulated time frame. With highly driven technical excellence, we are instrumental in providing our clients with best in class Analogue Speed Controller which keeps the record of highest speed achieved by motor. This speed controller is manufactured by inculcating modernized technology in sync with prevailing market norms of quality. 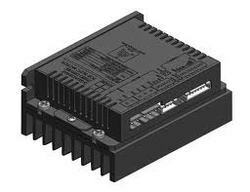 The offered speed controller is properly examined on varied parameters of quality in order to supply flawless range. The sensor picks up the speed and display. •Wide measuring range from 0.5 to 1,00,000 RPM. • The last value / max. value / min. value will be automatically stored in memory and can be obtained by pressing MEMORY CALL BUTTON. • High visible, insignificant zero suppression LCD display gives exact RPM with no guessing or errors and saves battery energy. 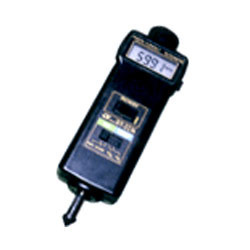 • This tachometer used the exclusive one chip MICRO COMPUTER LSI- circuit and crystal time base to accurately offer the high accuracy measurement & fast measuring time.